Blog Birthday Banana Bread – Voila! 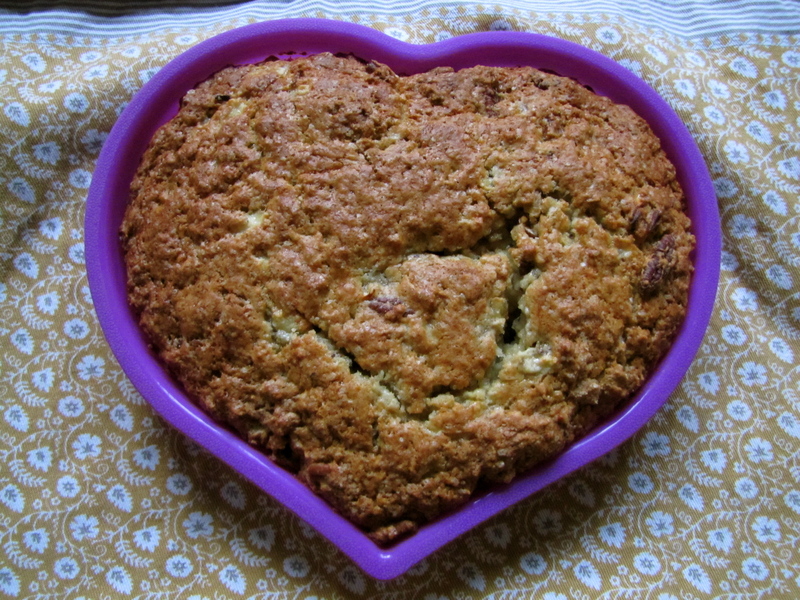 I love banana bread and I love this blog. It’s been four years since I started blogging when I lived in a house in Georgetown with James and six of our friends (man, that was fun!). Now we live in Durham with friends nearby and friends scattered around, but the blog lives on! In honor of my blog’s birthday and the #1 category in the sidebar on the right, I made one of my favorite baked goods. Overripe bananas are ripe (pun intended!) for banana bread, so I turned to my favorite ol’ stand by from Baking Illustrated. This recipe is tested and approved by yours truly as being just awesome. p.s. my blog birthday wish is to continue to have as much fun and be equally happy writing for this blog every week. 1. Whisk flour, sugar, baking soda, salt and walnuts together in a large bowl. Set aside. 2. Mix mashed bananas, eggs, yogurt, butter and vanilla with a wooden spoon in medium size bowl. Lightly fold banana mixture into flour mixture until just combined and the batter is thick and chunky. 3. Scrape batter into prepared pan. Bake until loaf is golden brown, about 50-55 minutes. Cool in the pan then transfer to a wire rack and serve.